This bundle includes everything you need to teach your 5th graders about Earth Systems and Patterns. 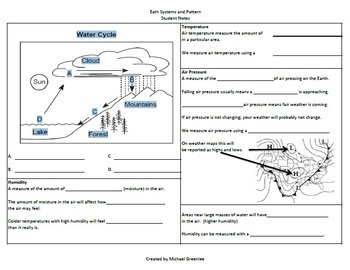 In this bundle you will find a Smart Notebook file that will help you teach all the important concepts; such as, the water cycle, weather, air pressure, cloud types, how weather effects the environment, and more. 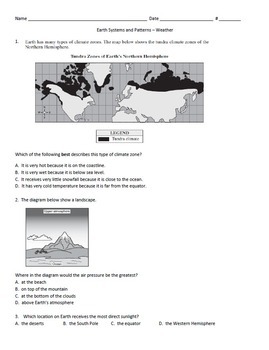 There are student note sheets related to the Smart Notebook file to help guarantee your students are getting the information they need from your instruction. 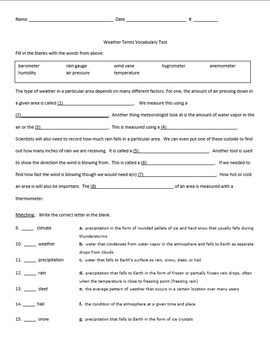 Also, this bundle includes a vocabulary assessment and concept assessment for the unit.